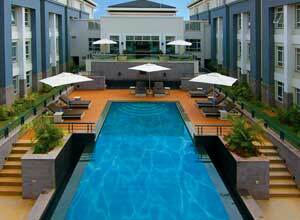 10 days from £2820pp plus international flights. This holiday makes an ideal introduction to Kenya, taking in iconic destinations, travelling through stunning scenery and spending days on safari, all in the company of your personal driver-guide, whose skill and knowledge is a real asset and helps you gain a genuine insight into the flora, fauna and people of the country. 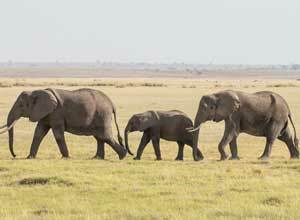 Your first safari is in Amboseli, home to large herds of elephants. 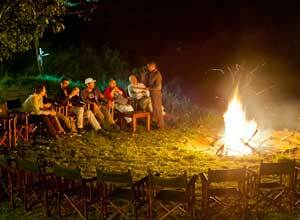 You can't help but enjoy watching the family groups, set against the magnificent backdrop of Mount Kilimanjaro. 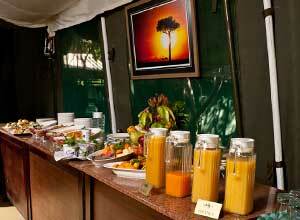 What better way to begin your foray into the wonders of Kenya? 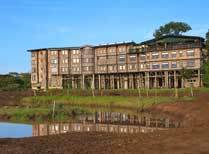 Next you head to Treetops Lodge in Aberdare National Park. This lodge has an undeniable cache: it was here that Princess Elizabeth became queen on the death of her father in 1952. 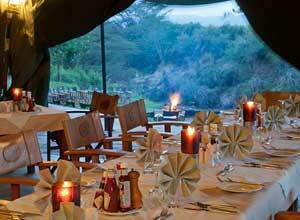 The lodge overlooks a waterhole, floodlit at night, attracting a parade of game. Swap savanna for lakes as you head to the Rift Valley, observing huge numbers of pink flamingos and an abundance of other water birds, as well as both black and white rhino and the rare Rothschild giraffe in Lake Nakuru National Park. You spend a day at Lake Bogoria, another flamingo hot spot, where you can also witness spouting water geysers and bubbling hot springs. Finally, and arguably saving the best till last, you enter Masai Mara Game Reserve, one of the most famous safari locations on the globe. This is a great place to see all of the Big 5: buffalo, elephant, leopard, lion and rhino, large herds of plains game plus much more. You have 2 entire days to enjoy its riches and it makes a fittingly splendid finale to your holiday. This holiday involves some lengthy drives, but these help you appreciate the scale of the country and let you view the changing landscapes. You have your own private 4 x 4 vehicle and driver, with plenty of stops on the way. Travelling by road, as opposed to flying, and using relatively simple but perfectly adequate accommodation, help make this trip excellent value for money. If your holiday time allows, you can add a beach stay to round off your holiday and enjoy the classic safari and beach combination. Your flight arrives in Nairobi, where you are met by a local representative and transferred the short distance to your first night hotel. Unwind for the remainder of the day, maybe going for a swim in the pool and checking out the bars and restaurants, all the while full of excitement for the days to come. Price notes: 2019 guide price pp for 2 sharing: Jan – Mar 2019 from £2965. Apr – Jun 2019 from 2820. Jul – 15 Oct 2019 from 3385. 16 – 31 Oct 2019 from £3025. Nov – 14 Dec 2019 from £2930. This holiday begins and ends in Nairobi. Return international flights from the UK start from around £750 per person depending on season and availability. We are ATOL-bonded and can book these for you. The vast dry plains, acacia woodland and marshes of Amboseli are home to large herds of elephants, wildebeest, zebra and impala and over 400 species of birds. The freshwater and soda lakes of Kenya’s Rift Valley offer spectacular scenery, a chance for relaxation, and some unusual features such as steaming hot springs, as well as some good wildlife. 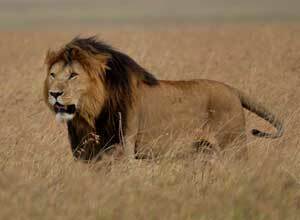 The Masai Mara National Reserve is probably one of the most famous safari and wildlife regions in the world and provides the most diverse game viewing in Kenya. 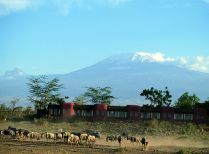 A large lodge set in Amboseli National Park against the backdrop of Kilimanjaro. 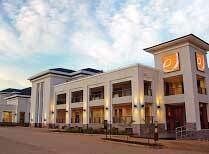 A pleasant modern hotel near the international airport with a choice of restaurants and an outdoor swimming pool. A traditional tented safari tent perfectly located for safaris in the Masai Mara, with chances for nature walks, village visits and balloon rides too. 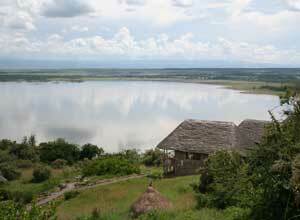 A small, friendly lodge at Lake Elementaita, 20 minutes from Lake Nakuru in Kenya's Rift Valley. 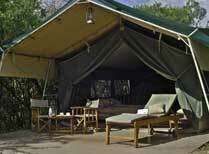 A famous safari lodge set by a waterhole, offering a range of game drives and guided nature walks. 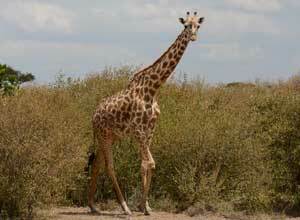 Start planning your tailor-made holiday to Kenya. Tell us what you want, and we will tailor make your perfect trip. 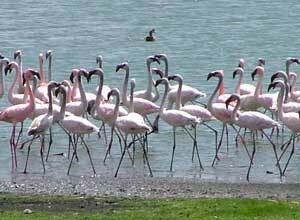  Flight time: Flights from Europe to Nairobi take about 9 hours direct. 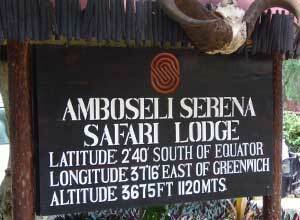  Language: Kiswahili and English are the official languages.  Visas: Visas are required for European passport holders.  Health: Malaria is present in most of the country. No vaccinations are compulsory, except yellow fever if coming from an infected area.